The teenage Jonny Evans was handed his international debut in an unfamiliar position, against Spain, one of Europe's leading sides, and starred in a famous 3-2 victory. What more is there to come? 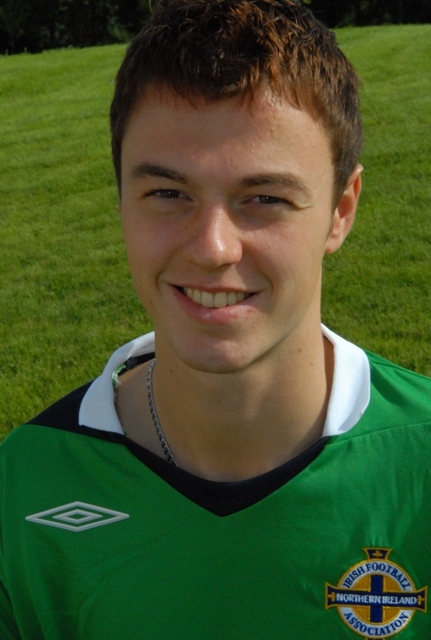 Representative Honours: Northern Ireland: Full Caps (2006-date), 3 Under-21 Caps (2006), 9 Under-17 Caps/1 Goal, Under-16 Caps, Schoolboy Caps. Club Honours: (with Sunderland) Football League Championship 2006/07; (with Manchester United) Premier League Champion 2008/09, 2010/11, 2012/13; Football League Cup Winner 2008/09; FIFA Club World Cup Winner 2008; FA Community Shield Winner 2010, 2011, Runner-Up 2009. Awards: Northern Ireland International Personality of the Year 2009, 2012. 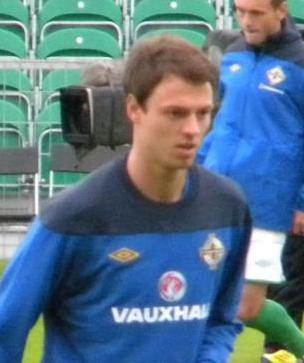 In 2009 Jonny Evans became only the second player from Northern Ireland to claim a Premier League winner's medal. With three titles he is level with Jack Reynolds and Bill McCracken. Having fallen out of favour with manager Louis Van Gaal, Evans left Old Trafford in 2015 ending an 18 year association with Manchester United. He joined West Brom for a fee believed to be in excess of £6 million.